Don’t want to spend too much time on creating a refined music playlist? Then you may like to take the job to Prizm that can turn your speaker into a smart music player. The Prizm is an innovative and pretty cool smart device designed for your existed speakers. 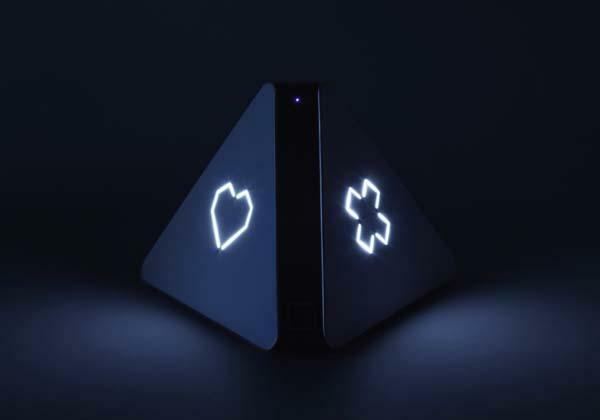 As shown in the images, the smart device sports a minimalistic, pyramidal design, and its compact body elegantly fit on your desk. Using Bluetooth, 3.5mm audio jack, or Optical/TOSLink, you can effortlessly connect it with your wired or wireless speaker, while built-in WiFi allows Prizm connects to your Spotify or Deezer Premium account to stream music, and it also supports Soundcloud free accounts, and more music streaming services will be added in the future. With the help of WiFi and Bluetooth signals from your phone or wearables and its sound level sensor, the smart music player not only identifies you through your MAC address, but also senses what is the current atmosphere in order to play suitable music based on the environment around it and your tastes. Moreover, the smart music player comes with two touch buttons. Just pressing the heart, you can easily add songs into your playlists that show on your smartphone, and you can also remote control your playback with the phone. The team of Prizm is raising fund via Kickstarter. 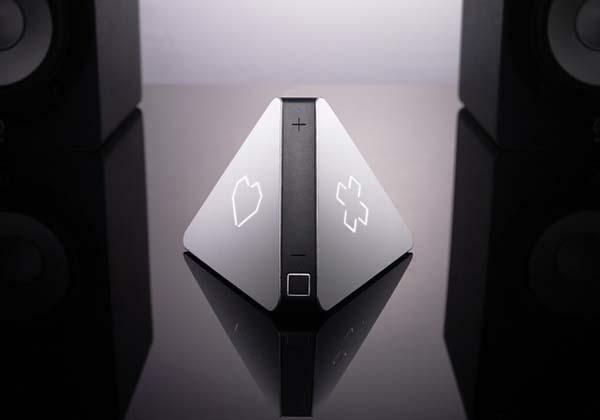 Pledging $109 will let you own the smart music player. If you’re interested, jump to Kickstarter official site for more details or check out the following demo video first.